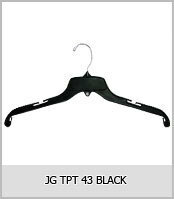 We are offering a wide range of Pant Hangers. These are manufactured using quality material. Further, these are appreciated and demanded in the market for features like durability and efficiency. We offer these products at reasonable prices to our clients. We offer a wide collection of Plastic Hook Bottom Hangers that are used in private houses and commercial establishments like shops, malls and departmental stores. With the help of our well-developed manufacturing facilities, we deliver these in flawless pattern and varied colours. 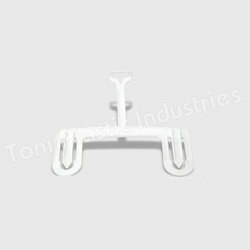 These Plastic Hook Bottom Hangers come with the features like easy to carry, light weight, durability. In line with clients specific requirements across the country, we are engaged in manufacturing an excellent gamut of Mechanical Bottom Hook.